When you're a teenager and the oldest of five kids, trust me, there is nothing better than getting out of the house alone. Rolling on back roads in my clunky little wagon, a boom box on the passenger seat playing mix tapes oozing teen angst... Man, that was the coolest. 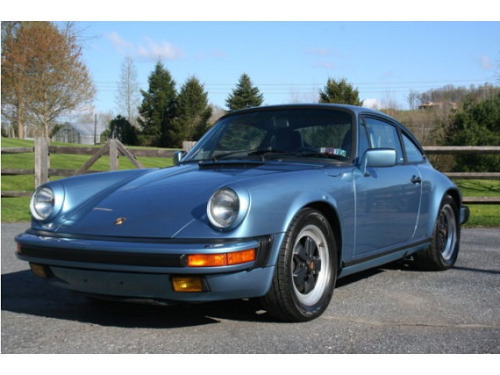 Yes, that's a Porsche 911 Carrera. Yes, somebody was clearly insane. Specifically, my aunt's boyfriend. He was visiting my family during our summer vacation on Cape Cod, and had brought with him both a zippy speedboat and that gorgeous car. If he was looking to buy affection, he had mine. When he asked if I could drive a stick shift and I answered in the affirmative, I'm pretty sure I saw my father cringe. But hey, just because I'd burned through the clutch on my dad's new Mazda 626 Turbo, it wasn't a given that I'd do the same to the Porsche - right? I'm guessing the boyfriend was looking to score major points with my aunt. He nonchalantly tossed me the keys. Twenty minutes later, as I ground through gears and stalled out at every stop, he may have been contemplating finding a girlfriend without family. If the stop-and-go summer traffic cost him a clutch, I'm sure I apologized. The few minutes I spent behind the wheel of that amazing car was more than enough to get me hooked on the impressive contraptions humans can build. Automobile fever had set in. If you think about it, of course, none of us needs anything more than the most basic set of wheels. Something to get us from Point A to Point B. In fact, my Driver Ed instructor in high school asserted that the best, safest drivers on the road are those who drive only for that purpose: to get from Point A to Point B. Purely practical. Certainly, my first car, a 1981 Subaru wagon - with third gear and the radio both missing- was nothing more than a means to get from Point A to Point B. But oh, the freedom it gave me! Last year, in the wake of my divorce, I took a road trip from San Francisco to Seattle and back. Along the way, I contemplated my love affair with cars. 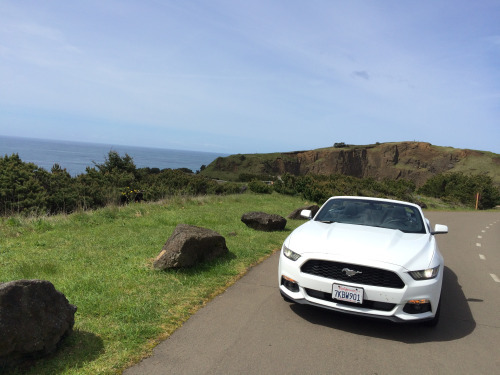 I had booked an economical hatchback for the trip, but when I arrived at the rental company, there was a Mustang convertible waiting for me. I spent the next eleven days winding my way through gorgeous scenery in California, Oregon and Washington. The Mustang was pure heaven to drive, but in all honesty, I know I'd have enjoyed the trip as thoroughly in a little hatchback. (Okay - almost as thoroughly.) I realized that, as much as I admire the impressively beautiful, fast machines humans can design and build, for me it's more about the overall experience. For me, it's about windows rolled down and music turned up. It's about seeing new places. Visiting old friends. Having solitude. Disconnecting from the day-to-day. Reconnecting with the present moment. There are few places I feel as alive as behind the wheel of a car on winding, sun-dappled roads. There are few forms of travel that so thoroughly transform me. I know how lucky I am to have driven some amazing cars in my life. But I think also of trips I took with my son when he was small, our camping gear packed into an ancient VW, windows down out of necessity because AC was just one of many things that didn't work in that car. We sang along with the radio, we listened to audiobooks, we played the license plate game. Miles and memories, logged all at once. 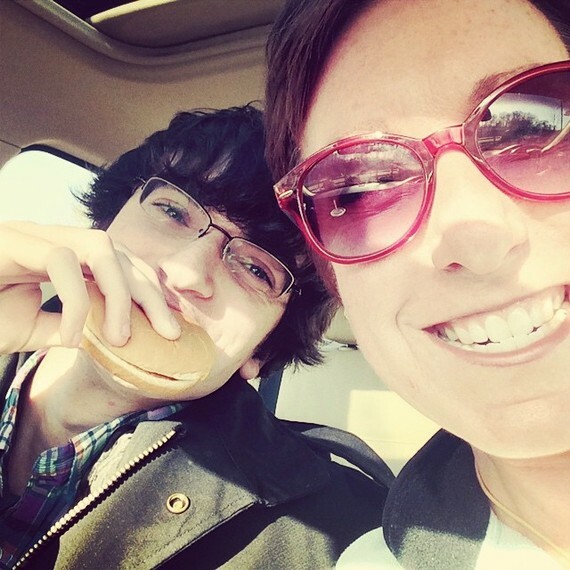 This year, my son traveled with me cross-country, and though the car was sturdier (a well-loved 2008 BMW 328xi that boasts 160,000 fabulous miles) and my kiddo is now grown, the experience of seeing the world through the windshield remained thrilling for me. With all due respect to my high school Driver Ed instructor, I think he's wrong about who the best drivers are. I think driving is like anything else in life: you can't be the best at it unless you love to do it and you practice it often. We who love to travel the open road hone our skill behind the wheel. We think back with a smile on the learning curve: grinding gears, burning clutches, stalling engines. We take the meandering back roads instead of the direct route. We make the most of every minute of the journey.